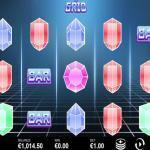 The Grid is a Fantasma Games powered online slot machine. It is one of the newest titles by the developer. The new slot machine has an Arcade theme that will offer you a nostalgic experience that is like none other. 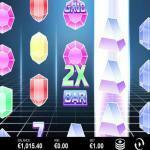 You will be able to notice that through the visuals of the slot, the gameplay and everything else about the slot game. 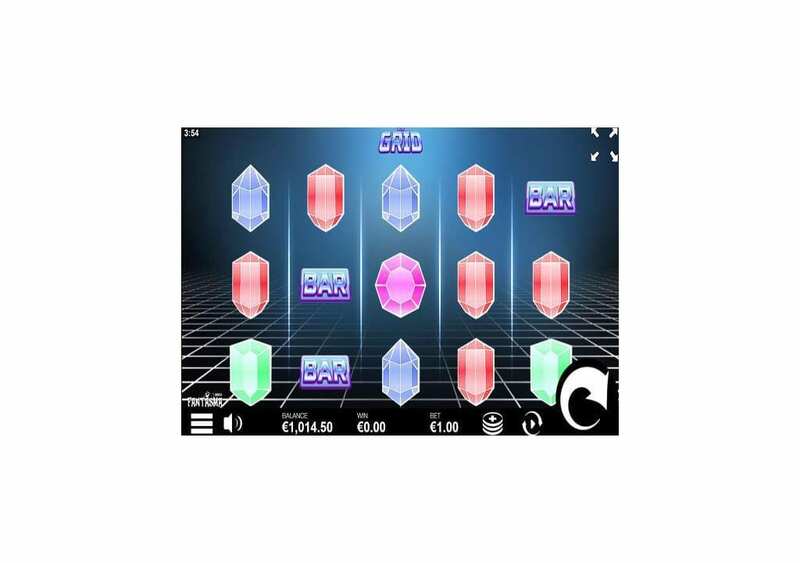 So if you are on the lookout for a fun experience that is rewarding and offers you a unique experience, then The Grid by Fantasma Games is the slot you should be playing. You can access the slot machine through multiple devices including tablets, phones, laptops, and Computers. 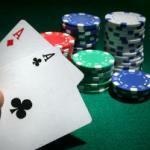 It is playable with stakes that vary between 0.1 and 100 credits for every single round. Last but not least, we offer the slot machine here for free, so you can see all that it has to offer before you place real money stakes at an online casino that provides the slot. 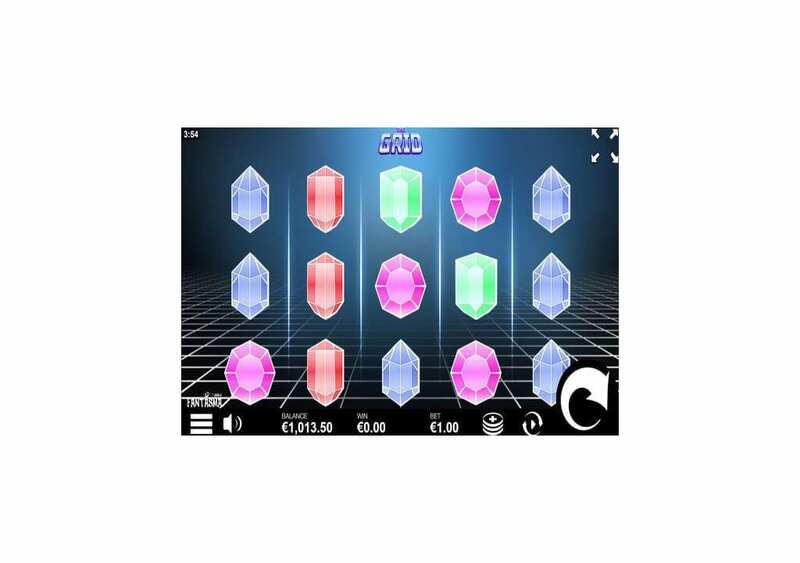 The Grid does not have a complicated theme or a background story, as it offers you a nostalgic Arcade-styled experience. 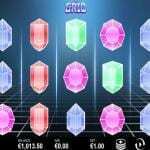 As soon as you start the slot game, you will notice the arcade style of the slot through its visuals. Arcade games go way back to 1970 where the first Arcade video game made its debut. The Golden Age of arcade games was the 1980 and 1990s, but of course, in time, with technological breakthroughs, PC gaming and gaming consoles like the Xbox and PlayStation took over. 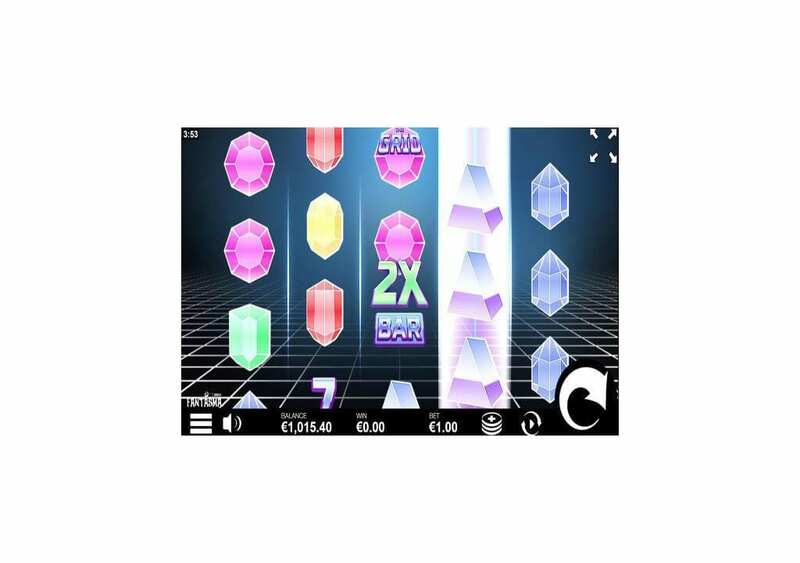 The online slot machine takes you back to a time where you used to rush to The Arcades after school, and put coins into the Arcade games and try to beat the top score. So get ready for a nostalgic adventure that will take you back to simpler times while enjoying a unique experience with an arcade theme. 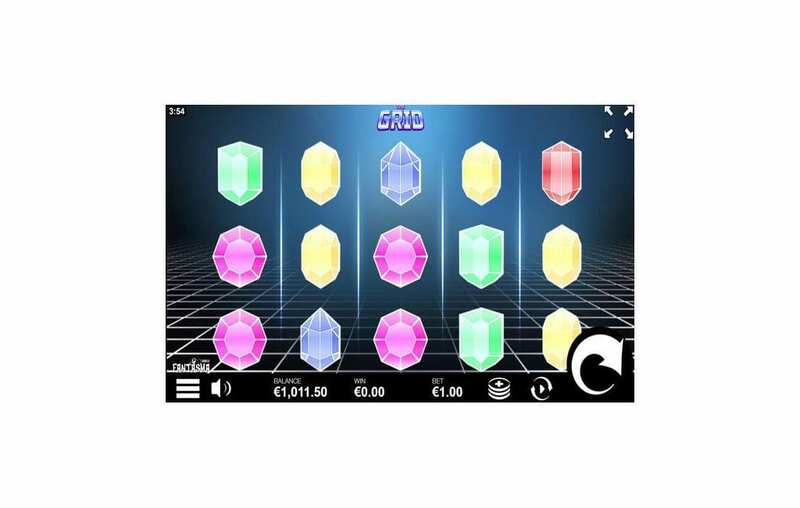 The Grid is a five reel slot machine that has a total of ten lines that you can place your stakes on as you spin the reels. The reels have three rows of symbols that result in a 5×3 grid. 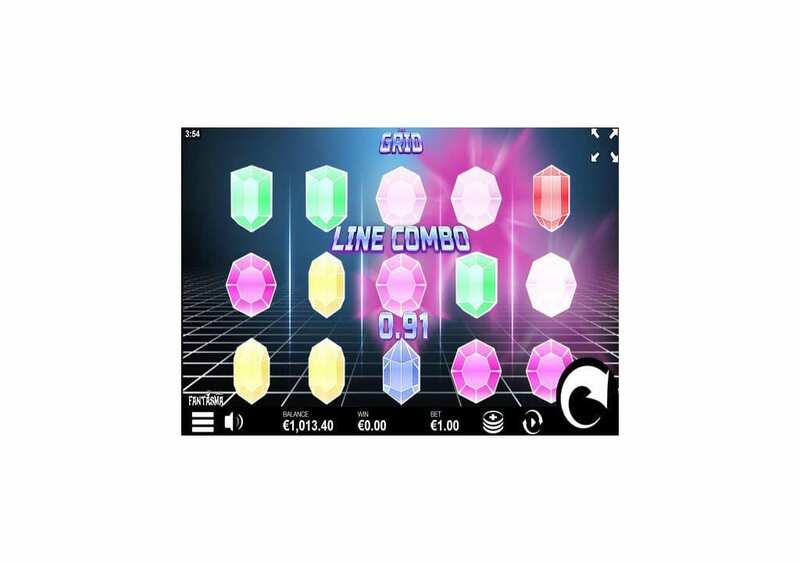 You will see a Moving Grid that is in the background, which is quite fitting to the title of the slot, as well as its arcade theme. 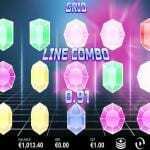 The symbols that are going to appear on the reels of the slot include sevens, bar symbols, and the bonus prism symbol. The rest of the symbols that represent the low paying ones include different colors and shaped stones. There is a red ruby, a green emerald, a yellow gem, and the blue sapphire. The control panel is underneath the reels, and it is where you will be able to control the different aspects of the slot. You will place your bets (they vary between 0.1 and 100), spin the reels, control the auto spin and control the Arcade sounds of the slot. The Grid has an RTP (Return to Player) percentage of 96.67%, which is a fantastic percentage for a 10-line slot machine. As per the usual, the online slot machine is going to give you an award whenever you get at least three matching symbols on the same line. These matching symbols have to start from the leftmost reel and make their way to the right Reels. 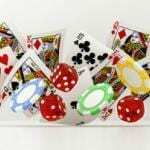 The maximum payout that you can claim by forming a winning combo is equal to 2500. You can get that amount when you get 5x of the Bar symbols on the same payline. That might come as a surprise since Bar icons are usually the low or the mid paying symbols in most slot machines. You can view the different payouts that the symbols can give you in addition to the unique feature of the slot machine by clicking on the “I” button then clicking on the Paytable icon. The Grid by Fantasma Games has one single unique symbol that has a lot to offer. 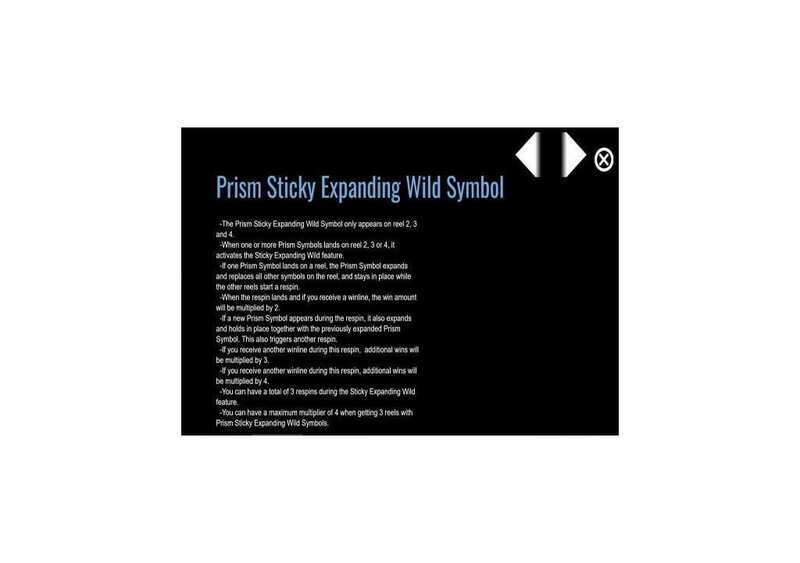 The emblem is the Expanding Sticky Wild Prism symbol. 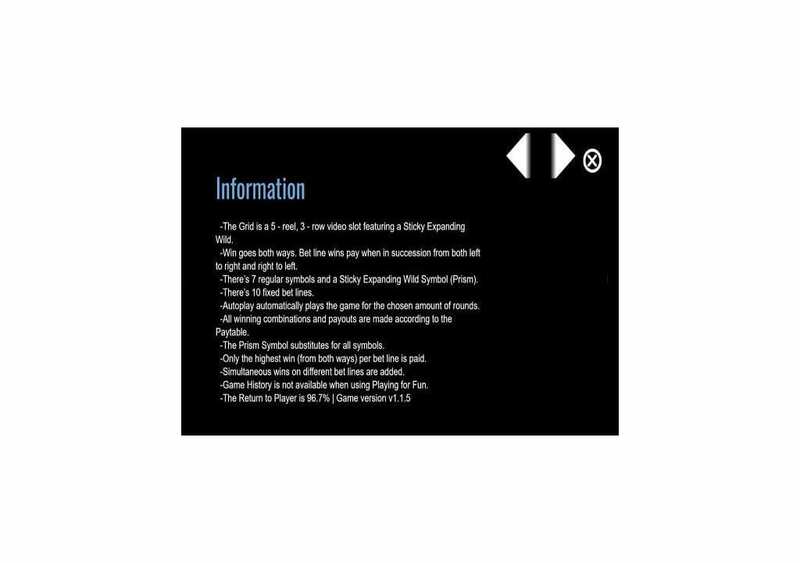 It will only land on the three middle reels of the slot machine (2nd, 3rd, and 4th reels). It will replace for all other symbols appearing on the reels. Whenever one or more than none Prism symbol lands on any of these three reels, it will trigger the Sticky Wild Feature. When that happens, the Prism Symbol is going to expand to replace all other symbols on that reel, turning it into a wild prism reel. It will remain wild and all other reels will re-spin. If you get another Wild Prism, it will also expand to cover the entire reel and will trigger another re-spin, with the other Wild Reel remaining wild as well. You can activate this feature three times, as you can get the wilds on the three middle reels only.